In an age of fast-drying products, few finishes dry as fast as shellac. Shellac is user-friendly and virtually goof-proof. It can be applied with a brush, pad, sprayer, or wiping cloth. No elaborate instructions are needed, good results are almost guaranteed, and mistakes are easily corrected. In spite of all the wonders of 21st century clear finish chemistry, there is still no other finish that enhances the depth and natural beauty of wood grain like shellac.Wood that has been finished with shellac looks soft and natural, not plastic-coated.The finish will not yellow or darken with age like polyurethanes, and it's simple to maintain.Shellac is an alcohol-based solution of pure lac, a natural resin secreted by tiny insects on certain trees, mainly in India.It is available in clear and amber which dry to a transparent film.The clear has a faint, golden cast that is much lighter than oil-base finishes, while the amber has a warm, orange cast that gives a rich, antique-look to woodwork. Shellac brushes can be cleaned in all-purpose household detergents or household ammonia and warm water. Shellac is the classic natural based finish that has an uncanny ability to bring out woods character and beauty while adding a warm tone. I have been using this product for many years, and for interior trim work this is without a doubt my favorite finish. The product is extremely easy to apply (I prefer a brush) and as long as you keep a wet tip (do not overload the brush), brush in quick strokes, and avoid drips/runs you will be fine. I have always applied the shellac at original consistency but it can be cut with denatured alcohol if you desire. The great part is you can keep applying coats until you achieve the tone that you desire (I prefer three) and subsequent coats can be applied with only about an hour between coats. Because the product is alcohol based the fumes dissipate extremely fast (unlike oil based stains) and the finish is dry to the touch within minutes. The method I have used for years is to start with a 120 grit sandpaper followed by a wipe down with a tack cloth. I then apply the first coat of shellac. After the first coat is dry I will apply my subsequent coats by first lightly sanding with #00 steel wool and again wiping down with a tack cloth, then brushing on the shellac. With so many toxic coatings being applied to wood over the years (e.g. lead paint) it is great to know that shellac is all-natural and you won't have to worry if your toddler decides to gnaw on the window sill. Plus I think it is great to let woods natural beauty show instead of covering up all of its inherent details with an opaque finish like latex paint. So even though shellac is a traditional finish that has been around for many years, it is still a very relevant finish and is one that will prove to be difficult to top. The plethora of polyurethane and epoxy finishes today has all but made shellac disappear from the shelves. Sure, it's not the most durable of wood finishes, but amber shellac (which is its natural color, white shellac is bleached from its amber state) still has its uses today. The amber shellac finish on my workbench was applied 12-13 years ago and is still holding strong. It's a great look on pine, I personally think pine with a dark oil stain like walnut looks kind of cheesy in most cases. My sister's place was built in 1954 had all its trimwork and window sills finished with amber shellac. When some pieces had to be replaced, and when we added walls with new trimwork, I cut them in and used this product, it matched the existing trimwork very well. 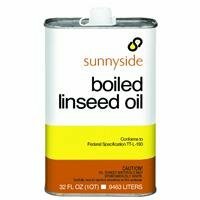 I found that the best way to apply it is to use an inexpensive natural-bristle brush. Keep it wet, and do NOT over-brush the finish once applied - it will even itself out and start to cure very quickly, so if you over-brush, you'll leave brush marks. You can clean the brush with denatured alcohol afterwards or just toss it - but I actually ended up pouring some shellac into a mason jar, cutting a hole in the lid and sticking the brush through the hole and gluing it into place. If a surface finished with shellac gets wet, it will turn white. That's one of the few limitations. I wouldn't use it over a stained surface since it does have a deep amber hue. After 20 years of expensive conversion lacquer products, never-drying oil finishes, waterborne disappointments and plastic looking polyurethane, I finally started using shellac for most my work. No matter how you apply shellac, you can get professional results that compliment your work. If you're thinking about shellac, I highly recommend Zinsser. I have never had to return it because it was past its shelf life. It performs incredibly well and my work looks better than it ever has. I have not run into any of the drawbacks of pre-made shellac, that all the urban legends warn about in online blogs. I also don't subscribe to the "de-waxed only" version of Zinsser, nor to the notion that you have to mix your own flakes and alcohol in order to have a suitable product. De-waxed shellac s only needed if you are undercoating with shellac and top-coating with something else. Zinsser can be brushed and sanded/wooled back with 0000, padded on with cloth, or French polished with a rubber. It's great over stains and can be tinted, or you can intermix clear and amber Zinsser to the shade of amber you like. It also wears much better than given credit for, and is more water resistant than lacquer - according to at least some documentation. 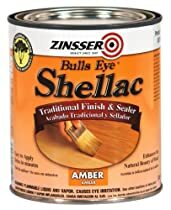 Having occasionally used quart containers of consumer grade lacquer available at big box stores - I regard Zinsser as much higher in quality than those finishes. There are no extreme fumes to contend with, no overspray and no need for face mask with shellac. Just brush the first coat or two, lightly rub with 0000, then pad or rubber on the final coats and the finish is great. Satin finishes can be finished with 0000 and paste wax. Great stuff.